Te Mata Lodge is located in 10 acres of native bush and garden and offers our guests a private and peaceful retreat. Plenty to do on site - kayaking, swimming, bush walks, native tree trail, rockhunting, gold panning - or just relax in the hammock with a book. There are four cottages, so even in peak season there is plenty of space for everyone's enjoyment. Chalet is serviced daily and offers quality linen and fresh towels every two days. Hosts on site are happy to help with bookings, forward planning, advice about day trips. The upstairs bedroom is small and perfect for one or two children, but the stairs are quite steep making it unsafe for very young children. A good little place, decorated to a good standard and well kept. We would go back. Nice place to stay. It was cosy with all that you need. Would stay again. Beautiful native bush and birds. Beautiful native bush and birds. The river was warm - great for swimming. The Chalet had everything we needed for a relaxed stay. Simple but very useable cooking facilities. Beautiful spot! Undoubtedly the most amazing property I have stayed in NZ or the world for that matter. Undoubtedly the most amazing property I have stayed in NZ or the world for that matter. I will 100% recommend this to any foreign visitors or even Kiwis to stay. Very special, tranquil and peaceful. The IDEAL spot to relax. Could not recommended more highly. Lovely hosts, typical Kiwi friendliness, literally could not fault this place. Book it. You will not be disappointed. Great stay and location! 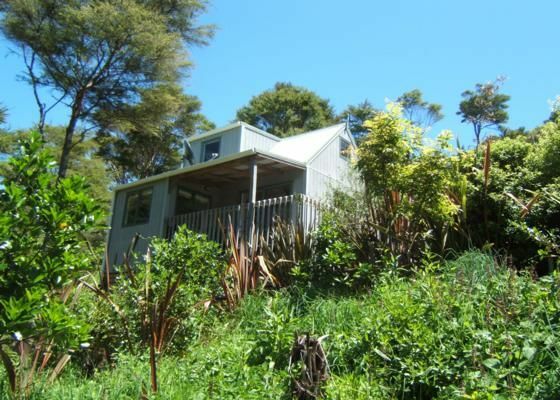 A wonderful weekend within easy driving distance of Auckland!